Busch Gardens Tampa has revealed its full line-up of haunted houses, scare zones, and shows for Howl-O-Scream 2012, beginning next month and continuing on select nights throughout September and October. Again under the banner of the “Dark Side of the Gardens” the annual Halloween event will feature the return of many fan favorites from the past as well as several all-new eerie experiences. Overseeing it all is Trickster, the icon for Howl-O-Scream 2012. Though he wears a clown mask, he’s not your average everyday killer clown. Instead, he’s a playful monster hoping to lure unsuspecting victims into his frightful haunts. The old Nightshade Toy Factory has long been patrolled by diabolical dolls, terrible teddy bears and possessed playthings, but recent containment issues at a nearby nuclear facility have started to affect these terrible toys. Now, the mutations will stop at nothing to devour the humans that have “enslaved” them for so long. Beating hearts, swinging pendulums and a raven’s cries haunt the manor of Lenore, creating a demented and twisted nightmare. 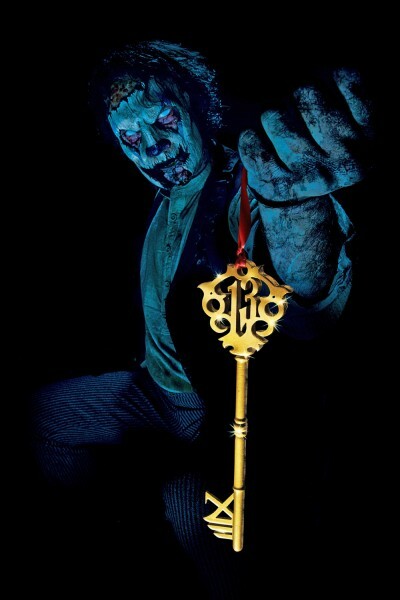 Step inside to experience the gothic terror that maddens the lord of the house. and feel delusion overcome reality. Find your way out of this horror story before paranoia authors your final chapter. No one remembers how the epidemic started, but now, zombies live here. The undead that infest this small town funeral home feed on the fresh flesh and brains of mortuary mourners to satisfy their insatiable hunger. Avoid the walking dead or you may find yourself deeper than six feet under. The deranged Master Alexander Daedalus opened Minotaur Storage to house his vast collection of “cultural” remains. But now his sinister obsession with hoarding has expanded to stockpiling people. Escape this lunatic’s labyrinth or you will become part of his collection. Can you make it out ALONE? Alone is a unique, all-alone experience through the haunted house for an additional fee. Reservations are required, and each reservation can accommodate you and up to 3 additional victims. Pass member discount does not apply. Not included with any other VIP tour or upgrade product. Howl-O-Scream admission is required, but not included. In addition to roaming hoards of creepy creeps all over the park’s 300+ acres, one new scare zone will bring back familiar elements of the event’s past. 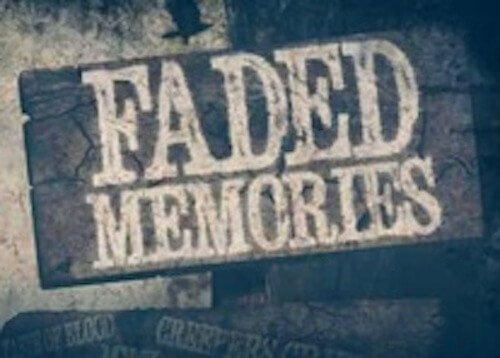 Thirteen years of horror-filled memories come swarming back as the most sinister icons, diabolical characters and disturbing scenes from your favorite Howl-O-Scream haunted houses and scare zones from the past converge to create the ultimate “best of” scrapbook of scares. Escape the hordes and head to the transformed Marrakesh Theater to drive yourself mad partying at Howl-O-Scream’s exclusive dance club. This adults-only nighttime playground keeps the energy pumping all night long with non-stop music, premium signature cocktails, drink specials and exclusive appearances by Howl-O-Scream’s most terrifying personalities. The Howl-O-Scream Shop of Horrors will also return this year. The event runs Thursday through Saturday nights, Sept. 27-29, Oct. 4-6, 11-13, 18-20 and 25-27. Freaky Preview lets devoted fans experience the event a week early on Sept. 21-22. Operating hours are 7:30 p.m. to 1 a.m. during Freaky Preview and on Thursday nights. 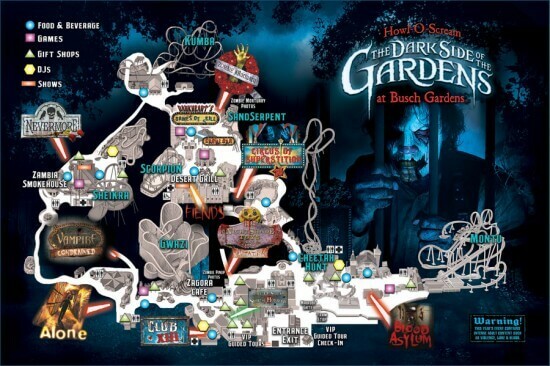 Friday and Saturday hours are 7:30 p.m. to 2 a.m.
More information, including prices and special ticket options such as Fright Feast and front-of-the-line passes, can be found at TheDarkSideOfTheGardens.com. 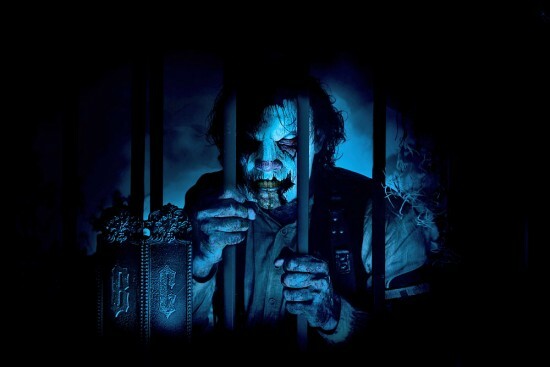 I am looking forward to this years Howl-O-Scream. We live about 20 minutes away and we are taking my mother in law this year. I can’t wait for all of the nasty’s to jump out and scare her and my wife! This is going to be so much fun. We are going for their freaky preview. Good times! Omg!! I can’t to go to the howl-o-scream this year!! I have been going every year with my friends and this will be my 6th year. 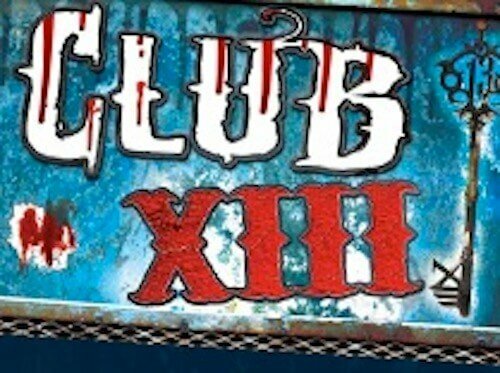 I can’t wait to be scared by all the scary people and most of all the haunted houses!! And going on the rides at night time is always the best. Well I hope u guys enjoy this years cuz I know for a fact I definitly will. All my friends and me always have a good time. And if have never gone then u are missing out!! So defenitly go cuz it’s SUPER fun!!!!! !